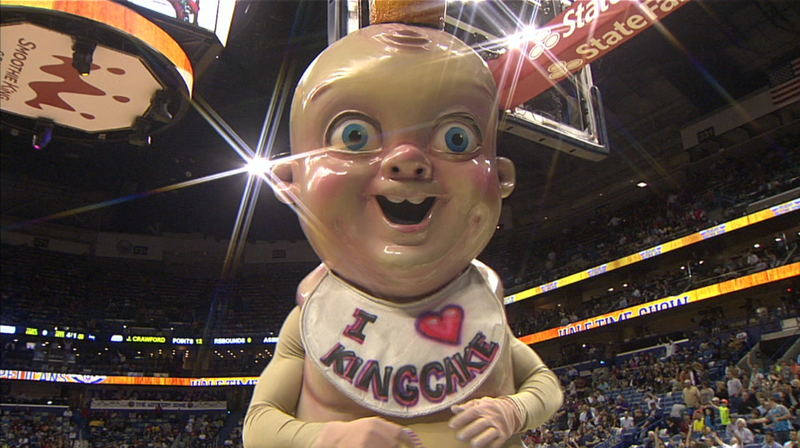 It’s King Cake Baby season again, which means the most terrifying occasional mascot in sports is back to put the fear of god into anyone who locks eyes with it. So, obviously, that infantile monstrosity should not be suffered to exist. But maybe having it scare older people is an excellent way to earn a lawsuit? When we dropped this in Slack, Harvilla said he’d DDT it if it jumped out at him like that. Me, I’d just pee and cry.